Had a wonderful few days driving up to Napoleon Ohio and visiting Katie Meyers and the students of Liberty Center High School Drama Department. They will be presenting "Murder Me Always" next month and invited me up to sit in on a rehearsal, meet the cast, answer some questions and have fun (introduced a improvisational game). Of course, anytime I have a chance to attend a rehearsal and meet the cast there is some nervousness involved (on both sides- myself and the actors ) - but mostly for the actors. Normally after I have answered a few questions about the play and how yes, even I started out by acting on the high school stage, just like them -- the nerves start to fade (on both sides). I think it's important to allow actors both young and old to see the human side the name below the title of their script. The person that wrote the words they are memorizing and first imagined the characters they are creating - the playwright or the man behind the curtain. As an actor, I had a chance to meet a few playwrights whose work I was performing and there something very satisfying in the meeting and greeting. For one, having a face to go with the name on your script and an opportunity to glimpse the personality that created the world you are trying to re-create. Can you see a hint of the characters in the playwright own personality? Did they base the character on anyone they knew personally? Where did the inspiration or idea come from? How did they envision the character or plot? And so forth and so on. Plus for me, I have an opportunity to see and hear how my words and ideas are translating to actors. Do they get the jokes or the subtleties? Are the characters well defined so they understand how to portray them? - It gives all of us an opportunity to learn and grow. I have questions for the actors as well. So the bottom line, (the line you don't have to memorize), is that I jump at the chance to visit productions of my work and allow the actors to question/analyse/talk (to) me and I will question/analyse/talk (to) them. 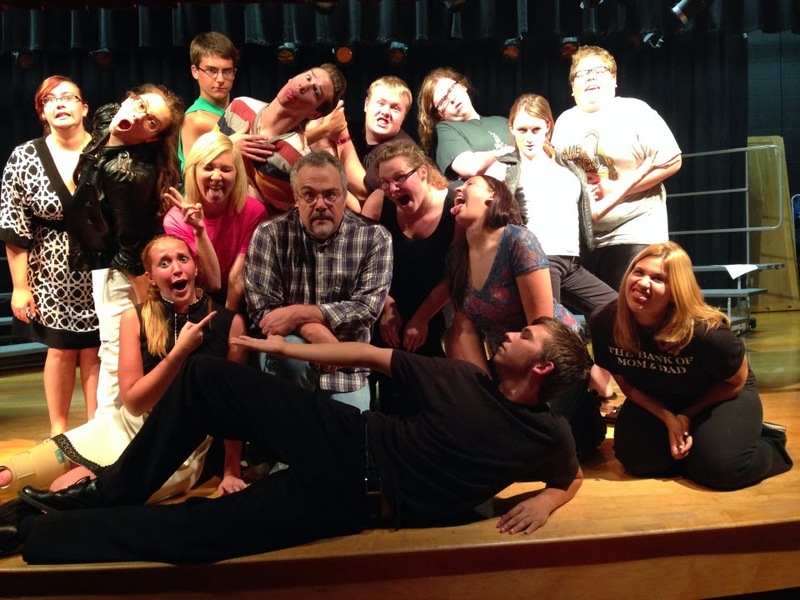 It is a large part of why I do what I do - that is the opportunity to interact with actors and theatre students. To get up from the computer and go forth and meet the people who give my words life. To check in once in a while and make sure we're all on the same page.